For extremely porous, tight curls and all variations of ethnic textured hair. Also suitable for chemically processed/relaxed and synthetic hair. 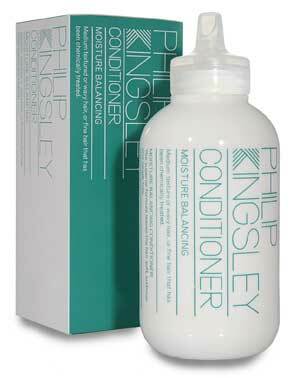 Deeply moisturising conditioner penetrates the hair’s matrix, nourishing from within to reduce frizz. Tames curly, frizzy hair types. Protective styling cream and smoothes hair and adds incredible shine. Helps prolong the life of colour treatments. Body Building Conditioner 2.53 fl. oz - Other sizes/options. For fine textured, limp or lightweight flyaway hair, with little or no chemical processing shorter than shoulder length. Controls hair behaviour and reduces static. Adds volume and shine without weight. Body Building Conditioner 8.45oz/250ml - Other sizes/options. Elasticizer 2.53 oz - Other sizes/options. 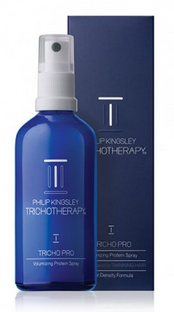 Super moisturising and highly concentrated it smoothes each strand to incredible silkiness. Its elasticising effect improves suppleness and flexibility whilst leaving your hair softer, less brittle, beautifully manageable and lustrous. Elasticizer is just the weekly thirst quencher your hair needs to beat dryness. Elasticizer 5.07 oz - Other sizes/options. Elasticizer 16.9 oz - Other sizes/options. Elasticizer Extreme 2.53fl. oz. - Other sizes/options. Whether you suffer from distressed hair as a result of chemical over processing, physical trauma or poor health, frequent use of Philip Kingsley Elasticizer Extreme will restore suppleness, elasticity, shine and bounce thanks to its intensive formula. 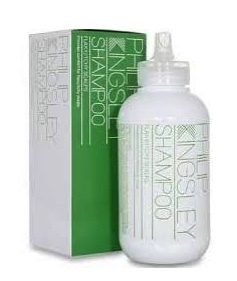 Philip Kingsley Elasticizer should always form part of your routine to continuously improve or maintain the quality and behaviour of your hair. 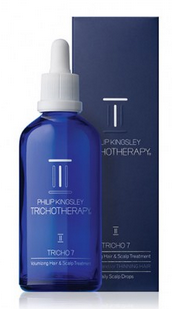 Extremely broken, damaged hair will benefit from concentrated use of this intensive treatment. Elasticizer Extreme 5.07 fl. oz. 150ml - Other sizes/options. Elasticizer Extreme 16.9 oz - Other sizes/options. Moisture Balancing Conditioner 2.53oz/75ml - Other sizes/options. For medium textured wavy hair of any length, with or without chemical or heat processing. Also for fine textured, limp or lightweight hair with chemical or heat processing or longer than shoulder length. Helps sustain the correct balance of moisture along the length of the hair, leaves hair soft, lustrous and tangle free. Ideal for childrens hair. Moisture Balancing Conditioner 8.45 fl. oz - Other sizes/options. Moisture Balancing Conditioner 33.8oz/1000ml - Other sizes/options. Moisture Extreme Conditioner 2.53oz/75ml - Other sizes/options. Moisture Extreme Conditioner 6.76 fl. oz. - Other sizes/options. Moisture Extreme Conditioner 33.8oz/ 1000ml - Other sizes/options. No Scent No Colour Conditioner 2.53oz/75ml - Other sizes/options. Created for those with the most sensitive, delicate or easily irritated skin. Designed to answer the needs of the growing number of allergic and reactive skin types for whom fragrance and strong surfactants are not an option, it is fragrance, colour, SLS, SLES and paraben free. It is formulated to be gentle enough for those undergoing chemo/radiation therapy. Its carefully selected ingredients improve overall hair strength, elasticity and texture and it also has antistatic properties. To use: After shampooing, for finer hair textures apply sparingly through mid lengths and ends. Coarser or frizzier hair types use more generously throughout the hair's length. Rinse well and follow with the appropriate scalp toner. Hair fact: Keep conditioner away from the scalp to prevent limpness in the root area. No Scent No Colour Conditioner 8.45 fl. oz. - Other sizes/options. Pure Silver Conditioner 2.53oz/75ml - Other sizes/options. Pure Silver Conditioner 8.45oz 250ml - Other sizes/options. Re-Moisturizing Conditioner 2.53OZ/75ml - Other sizes/options. For coarse textured, very wavy, curly or frizzy hair of any length - with or without chemical or heat processing. 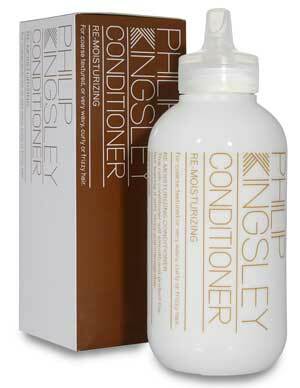 This rich conditioner smoothes and protects the hair leaving it soft, shiny and manageable. Re-Moisturizing Conditioner 8.45 fl. oz./250ml - Other sizes/options. One more Day (Dry Shampoo) 1.69/50ml - Other sizes/options. Designed to absorb excess oil, dirt and sebum in the hair, this One More Day Dry Shampoo by Philip Kingsley is the ultimate dry shampoo treatment. Injecting texture and volume into the hair, this dry shampoo works to give you luscious, fresh locks for one more day! Containing a lightweight formula to prevent product buildup, this One More Day Dry Shampoo is a must have! One more Day (Dry Shampoo) 6.76/200ml - Other sizes/options. Daily Damage Defence Conditioning Spray 2.2oz/60ml - Other sizes/options. Daily Damage Defence Conditioning Spray 4.23oz/125ml - Other sizes/options. Benefits: De-tangling, protective, conditioning, anti-frizz, anti-static Anti-breakage, heat protecting, conditioning spray. Offers protection from daily environmental wear, such as UV rays and heated styling aids. Provides superb de-tangling properties. Daily Damage Defence Conditioning Spray 8.45oz/250ml - Other sizes/options. Daily Damage Defence Extreme Conditioning Spray 2.2oz/60ml - Other sizes/options. Daily Damage Defence Extreme Conditioning Spray 4.23oz/125ml - Other sizes/options. Preen Cream 3.38 fl. oz. Developed to stimulate the effects of duck preening which leaves each feather smooth and shiny yet protected, Preen Cream smoothes, shines and reduces the appearance of dry ends. 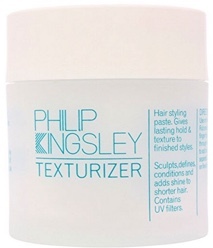 Ultra lightweight hold & UV protection for fine to medium textured hair types. Body Building Shampoo 2.53 oz - Other sizes/options. For fine textured, limp or lightweight flyaway hair. Gently and effectively cleanses whilst adding body and strength. Leaves hair with extra fullness and shine. Suitable for chemically processed and colour treated hair. Body Building Shampoo 8.45 oz 250ml - Other sizes/options. Flaky Itchy Scalp Shampoo 8.45 oz - Other sizes/options. Careful research has resulted in this advanced formula shampoo for relieving and controlling flaking and itchy scalps. 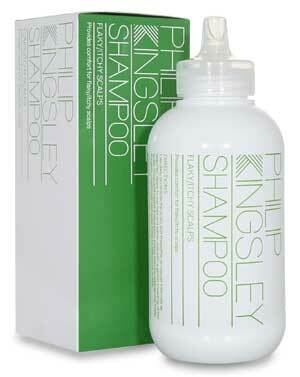 For use on all hair types, this mild but highly effective shampoo will leave hair shiny and manageable. Flaky Itchy Scalp Shampoo 33.8 oz - Other sizes/options. Moisture Balancing Shampoo 2.53 oz - Other sizes/options. For medium textured wavy hair. Helps sustain the correct balance of moisture along the length of the hair, particularly on hair with dry or damaged ends. Leaves hair lustrous and manageable. Suitable for chemically processed and colour treated ha. Moisture Balancing Shampoo 8.45 oz - Other sizes/options. Moisture Extreme Shampoo 2.53oz/75ml - Other sizes/options. Designed for the hair textures and types that are the most difficult control, Philip Kingsley Moisture Extreme Shampoo provides a precision balance of cleansing performance and mildness. 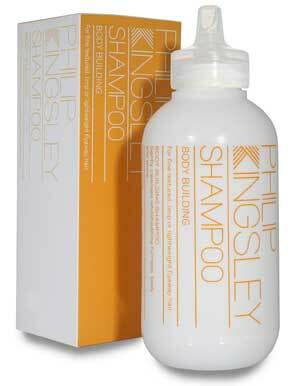 This shampoo provides brilliant cleansing, removing all products and build up with out removing any of the hairs natural oils. Moisture Extreme Shampoo 6.76/200ml - Other sizes/options. Moisture Extreme Shampoo 33.8oz/ 1000ml - Other sizes/options. No Scent No Colour Shampoo 2.53oz - Other sizes/options. No Scent No Colour Shampoo 8.45 fl. oz. - Other sizes/options. Pure Silver Shampoo 2.53oz - Other sizes/options. 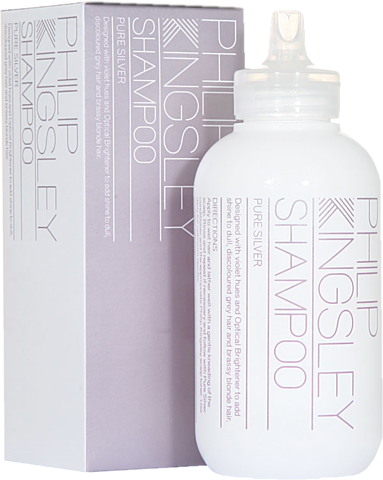 Pure Silver Shampoo 8.45oz - Other sizes/options. Re-Moisturizing Shampoo 2.53 fl. oz. - Other sizes/options. For coarse textured, very wavy, curly or frizzy hair. Gently cleanses whilst replenishing moisture levels to leave hair soft, manageable and shiny. Suitable for chemically processed and colour treated hair. Re-Moisturizing Shampoo 8.45 fl. oz./250ml - Other sizes/options. Curl Activator is the incredible new styling product from Philip Kingsley, especially created for those in pursuit of perfect curls. This light, non sticky formula enhances, smoothes and separates curls. Maximizer 2.2oz/60ml - Other sizes/options. Get thicker fuller hair easily and instantaneously with this amazing maximizer that is designed for fine limp hair. It maximises each hairs potential to provide incredible body as it amplifies its volume. A distinctly different product that is simply sprayed on and, in addition, helps styling become easier by giving control and manageability. Your hair will become fuller, styles will last longer and your hair is left shiny and smooth. Maximizer 4.23oz/125ml - Other sizes/options. Maximizer 8.45oz 250ml - Other sizes/options. This item is BACKORDERED from the manufacturer. Minimizer eliminates frizz and adds weight, providing definition and shine. It transforms parched hair and can be used to smooth and straighten or add definition and gloss to curls. Infused with Argan Oil to reduce frizz, add brilliant shine and provide intensive hydration. Can be used to smooth and straighten or add definition and gloss to curls. For use in wet and dry hair. To use: When styling from wet, apply one pump throughout mid lengths and ends. To achieve temporary straightening effect, blow dry or use straightening irons. For curl definition and minimizing frizz, scrunch into wet and/or dry hair. Hair fact: Cutting hair has no effect on its growing capability. Straight Hair 3.38oz/100ml This item is DISCONTINUED by the manufacturer. A thermal-activated gel enriched with botanical extracts. Helps temporarily sleek, straighten and tame frizzy or curly hair. Shields against thermal and UV damage, particularly iron styling methods. Extends life of color treatments. To use: Spread evenly through towel-dried hair and style as desired. Texturizer Hair Styling Paste 2.53oz/75ml This item is DISCONTINUED by the manufacturer. A pliable texturizing styling paste. Helps sculpt, define and condition hair. Features a rich, creamy consistency. Contains beeswax and lanolin to provide unparalleled hold, texture and shape. Adds an exceptional healthy shine to hair. Infused with UV filters and moisturizing ingredients to protect hair. Ideal for all hair types and short hairstyles. Weatherproof Hairspray 2oz/60ml - Other sizes/options. Weatherproof Hairspray 4.22 fl. oz. - Other sizes/options. Weatherproof Hairspray 8.45 fl. oz. - Other sizes/options. Weatherproof Styling Froth 5.07 fl. oz. 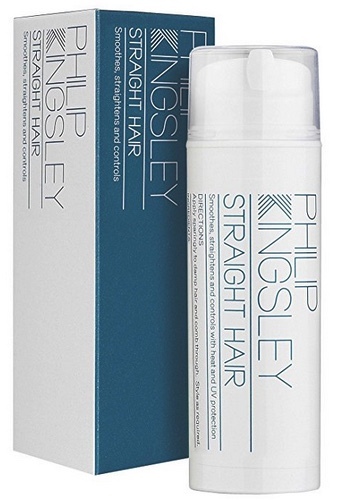 Philip Kingsley Weatherproof Styling Froth Style provides stylingcontrol and hold with added volume. Protects against heat and theenvironment. Includes conditioning agents, anti oxidants and sunscreens to help prolong the life of colour treatments. Citrus Sunshine Swimcap 75ml 2.53oz/75ml This item is DISCONTINUED by the manufacturer. Swimcap 2.5 fl 75 ml - Other sizes/options. For swim and sun protection. 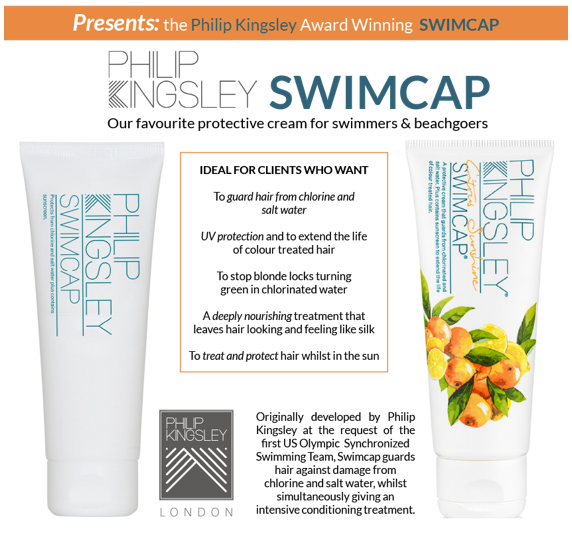 Swimcap Cream is water resistant and protects against dryness and damage caused by chlorine and salt. It also helps prevent discolouration and colour fade by filtering out the harmful rays of the sun. Swimcap Cream is a super conditioner and protects both hair and scalp. Swimcap 5.07 fl. oz - Other sizes/options. Flaky Itchy Scalp Toner 2.53 oz/75ml - Other sizes/options. Helps lift away flakes BENEFITS:Anti-dandruff, soothing, anti-microbial, clears the scalp of flakes HAIR TEXTURE:Fine, Medium, Coarse, African-Soothing leave-in Scalp Toner with an anti-microbial and anti-flaking formula that provides immediate and long lasting relief from dandruff and irritation. Flaky Itchy Scalp Toner 8.45 oz/250ml - Other sizes/options. Scalp Tonic/ Scalp Toner 2.53oz/75ml - Other sizes/options. A rehydrating tonic and scalp energizer. It will enhance scalp functions and add shine and managebility to the hair. Scalp Tonic/ Scalp Toner 8.4 oz - Other sizes/options. Exfoliating Scalp Mask 0.67 oz - Other sizes/options. Exfoliating scalp mask containing organic Aloe Vera and a combination of powerful exfoliants to help minimize flaking, whilst soothing the scalp. Exfoliating Scalp Mask 2.53oz/75ml - Other sizes/options. Stimulating Scalp Mask 0.67 oz - Other sizes/options. Stimulating scalp mask containing organic Aloe Vera and a combination of powerful stimulates to help minimize flaking, whilst soothing the scalp. Stimulating Scalp Mask 2.53oz/75ml - Other sizes/options. 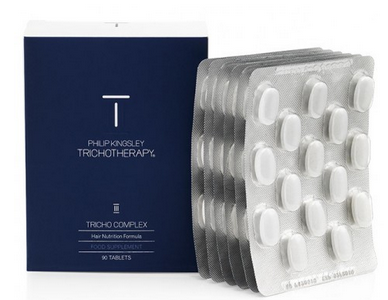 Benefits: Hair nutrition formula Created with over 60 years of trichological expertise and inspired by a combination of vitamins and minerals prescribed on a daily basis at the Philip Kingsley Trichological Clinics, Tricho Complex contains an exceptional mix of vitamins and minerals which contribute to the maintenance of normal, healthy hair. Benefits: Provides instant volume, fullness, strength and shine Hair Texture: Fine Tricho Pro Volumizing Protein Spray plumps each hair strand to help provide instantly thicker, fuller hair. An easy to use, de-tangling blow-dry spray that helps protect hair against heat styling. Ideal for fine hair. Use regularly to help strengthen the hair. 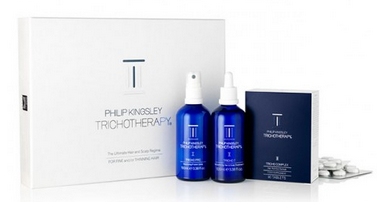 Benefits: Volumizing regime, reduced shedding, healthy hair Hair Texture: Fine The Trichotherapy Regime was created after 7 years of research and development in the Philip Kingsley Trichological Clinics. The unique 3 step regime takes a holistic approach, to help maintain optimum hair and scalp health from the inside out. Used daily, the regime can help provide visible root lift, instant conditioning, shine and overall fullness to the hair.